Deep below New York’s Grand Central Terminal, is something so important that at one time it was guarded 24 hours a day in case of attack by Nazi agents. Even today its location is Top Secret. The Freaky is given an exclusive tour. 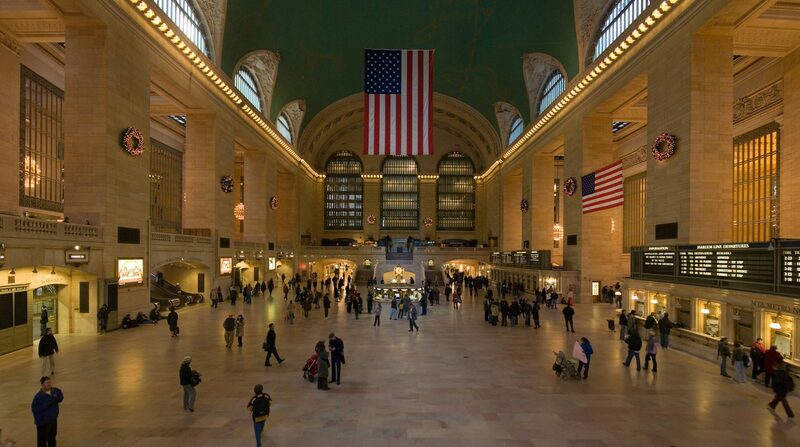 Grand Central Terminal is the world’s largest train station. A train load of passengers arrives here every 58 seconds during the morning rush. Covering an epic 49 acres, it has 45 platforms, served by 63 tracks on two levels. When they began building Grand Central Terminal in 1906, it was to be far and away the world’s largest train terminal. They had to build the concourse so it could accommodate 700,000 without anybody bumping into each other. But what the thousands of people passing through here each day don’t realize is that hidden below them is a very big secret. More than 10 storeys below their feet is NYC’s deepest basement, largest basement and the most secret basement. It is on no diagrams, no blueprints and no drawings. It’s so secret, that even now The freaky can’t show you the exact location. But Danny Brucker is the station’s resident historian is prepared to take us on a tour. He takes us into a secret underground as long as we swear not to reveal is entrance. But we seem to be alright … so far. After tunneling down through ten storey’s of solid rock the engineers blasted and carved out a chamber almost as large as the huge station concourse above. It’s a mind-blowing 22,000 square ft.
What we see in this vast chamber are nine massive rusting behomeths of metal. These huge rotary converters, each weighing 15 tons transformed Alternating current into Direct current, needed to power the trains above. They were the beating hearts of the entire Metro North rail network. Converting power to run trains over 2000 miles of rail track. Standing 20 feet tall, the rotary convertors were put down here in the 1920s because developers wanted to build more profitable skyscrapers on the land above. But 30 years later their secret location turned out to be a clever move when in 1941 America joined the allies and declared war against Germany. The North Eastern railway was crucial to troop and weapons movements to the ports and if the transformers were sabotaged it could have crippled the war effort. No surprise then that this place was guarded like Fort Knox. But a German spy who had worked down here told the Nazis about it – and Adolf Hitler, recognising its strategic importance, was determined to destroy it. And the Nazis weapon of choice for this secret operation was not explosives but something much simpler. “Back in 1942, this sub-basement could have been easily be destroyed and made ineffective simply by throwing sand into the rotary converters. It would have killed them. And it would have also killed most of the troop movements in the North East. But fortunately, the Nazi Agents were spotted coming ashore by a coastguard walking the beach, The FBI were contacted and they tracked the would be saboteurs. While the old converters were retired in 1991, Grand Central still gets all its power from down here – now from a newer system modern saboteurs might want to attack. I didn’t know this existed and i’ve been travelling through the station for years! I want to see this. Does anyone know if they open it to the public?